How graphics are shown through displays, not just the graphics themselves, is arguably one of the hot topics in gaming right now. The PlayStation 4 Pro prided itself on having 4K and HDR capabilities and although the Xbox One S hasn't quite got the 4K to match, even Microsoft are emphasising the importance of HDR in games. 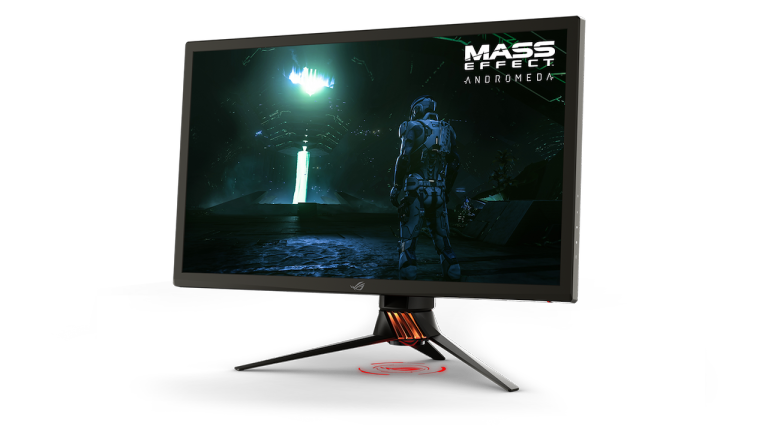 Nvidia then, is following the trend of emphasising how important display quality is by showing off its G-SYNC High Dynamic Range (HDR) gaming monitors at CES 2017. The reason HDR is such a hot topic in displays and gaming at the moment is because a HDR equipped television or monitor will expand the contrast ratio and colours to create a more realistic image than is currently available with regular HDTV’s. You may have heard the words HDR before, and that’s because these features were put into our smartphones a while ago, but it’s important not to get the two mixed up. The way HDR is achieved on a smartphone and TV is completely different. Nvidia showed off two of their newest monitors at CES, the Asus ROG Swift PG27UQ and the Acer Predator XB272-HDR. These are both monitors that not only boast 4K and HDR, but also demonstrate a 144Hz refresh rate which overall results in a gaming experience that has never looked better and has never been smoother. Focusing on the display of a monitor is always a tough sell because of the fact that no picture or video can do the product justice, the screen you’re viewing the product on has too low a resolution to be able to see what’s really being displayed. Just know that when HDR, 4K and a ridiculously high refresh rate all come together, it’s enough to make your eyes melt. The other main selling points of these monitors include the fact these displays are capable of reaching up to 1000 nits of brightness and feature zero input latency. Again, in simpler terms, this means that when gaming, especially in twitch games like shooters, the gamer will have a much smoother and clearer experience. These monitors are expected to release in Q2 2017 and it’s safe to assume that neither of these are going to be easy on your wallet. But until gaming starts to emphasise graphics again, both of these displays are the foray into the best looking gaming experience possible.